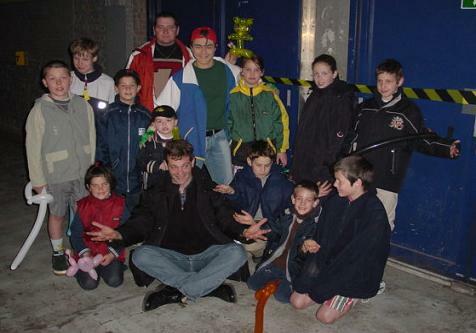 In 2002 we weren’t active at the UZ Ghent but Project Magic did already exist. Thanks to Capiau Projects we visited the show Pokémon Live at the Sportpaleis in Antwerp with children from different institutions. The children really enjoyed the show. During the show I had contact with someone from the organisatoin of the show. He made sure we met the lead star Ash, which was usually never allowed. It was very special for the children. Especially for Gert, who is blind and got to feel Ash, so that he knew what he looks like. We would like to thank Capiau Projects again for this lovely trip.